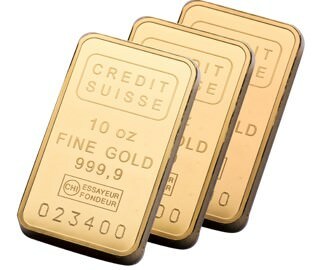 Buy gold bars at wholesale institutional rates (pre-retail prices) worldwide. The below bars have the greatest liquidity across the international physical gold bullion markets. GoldVu offers you direct access to these global physical precious metals markets, 7 of which are the largest gold bullion trading hubs in the world. As these markets are of an institutional wholesale nature, our gold bullion products carry smaller premiums to what you normally are offered at the retail level. These markets also have amongst the narrowest bid / ask price spread in the industry. When you buy gold bars through us, you can expect to buy the same quantity of gold for less (or more gold at the same cash) and if ever it comes to sell your physical gold bullion (definition) then our narrow spreads mean that you realise more cash then you normally would. The gold bars you can access to buy and sell on the global markets vary in fineness from 995 to 9999 with a variety of weights. 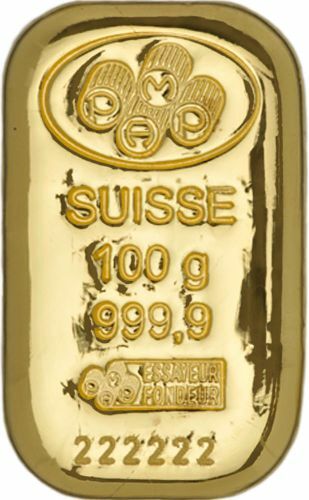 Currently all of our gold bars are cast except for the 10oz Credit Suisse bar. * Currently eligible to have an electronic Vault Warrant (eVW) raised against the bar, which means you receive the serial number, bar details & certificate, after which you can then use it for collateral, if you so wish. See below for more information. If you do not only want to buy gold bars and also wish to view other precious metals items then please see our main products page which has all the various gold, silver and platinum bars and coins that are available for trade on our global markets. We have the unique facility to be able to offer you the ability to pledge select products as collateral that can be used to raise margin collateral in order to reinvest. We do this through the facility of our electronic Vault Warrants (eVW), whereby your bars are physically segregated from the others in the vault and their specific / unique details are logged and registered on the eVW. You can also use this facility to just simply segregate / separate your physical bullion from everyone else’s, at which point you will receive the unique bar numbers / details of that specific bullion product. Please note that if you wish to pledge a bar as collateral, it will be 'locked' until the terms of the collateralised eVW are settled. This means that it cannot be sold or withdrawn for the duration. Once settled, then you are once again free to do with it as you wish. We also offer eVWs for the 100 oz silver bars on our markets. At no point during the collateral pledge do you lose legal title of direct ownership over the gold bullion bar. Only its sale & movement is restricted under the terms of the collateral contract for its duration in order to prevent misuse / fraudulent activities occurring of our collateral facilities. 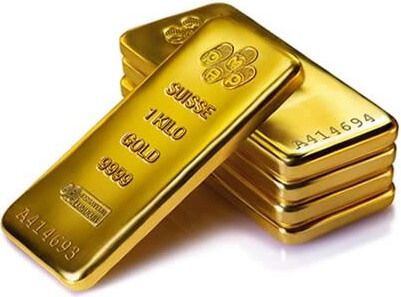 When you buy gold bars with us you have the option to either have them privately vaulted with us at the market location you bought them at, or have them delivered to you. However, if you request delivery then the chain of integrity will be broken for those bullion items and we will be unable to accept them back into our markets for resale without them being sent to be re-refined first. If your reason for taking delivery is because 'you can never be sure that the bullion really exists', then I am pleased to say that you are personally able to visit all of our global vaults to inspect and audit your bullion (this only applies to segregated bullion only). We encourage our clients to visit the vaults & inspect their Holdings in order to establish trust with our clients, and furthermore we will apply a permanent storage fee discount to your Holding if you do visit and audit your stored physical precious metals. Please feel free to contact us if you have any question or queries about any of our products and services. To be able to access all of our markets and bullion products, you only need to go through the simple process of creating a Central Holding with GoldVu.